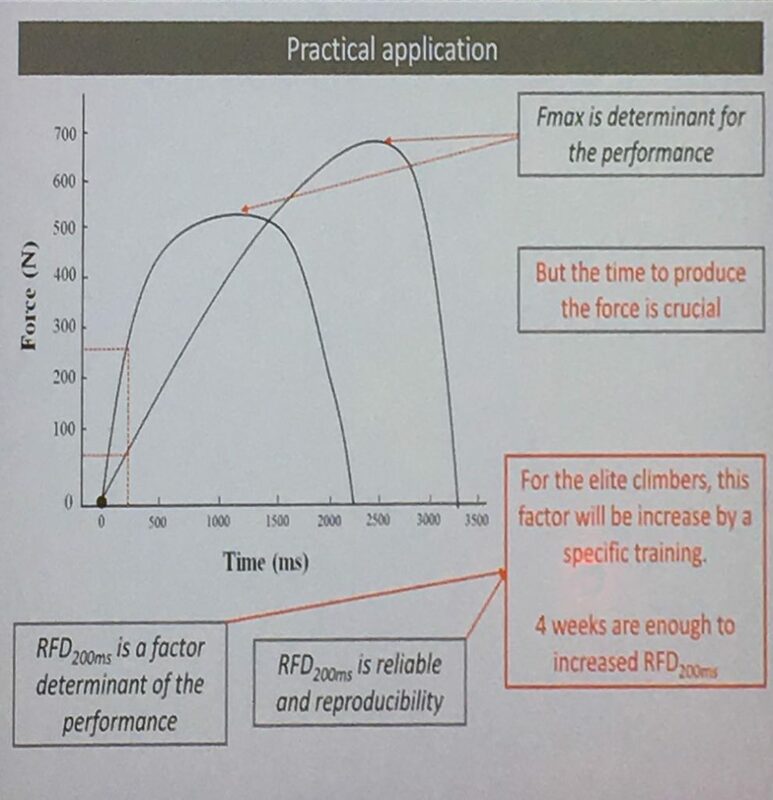 What would be some effective training to increase rfd? Hi Ross. That’s a great question but the answer isn’t simple, unfortunately. The only protocol that’s been tested was done on a hangboard. However, it was done on an elite set of boulderers (the French National Team) using individualized holds between 25-6 mm in a 90 degree lock-off for 1-6 seconds with the following instructions: “hold the device as strongly as you can and as fast as possible”. I think it’s important to note that this was used on highly elite athletes with strong adaptations who can handle this type of protocol. 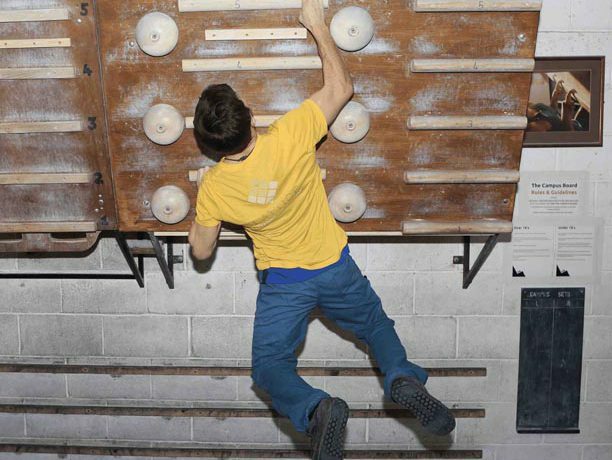 There’s been some discussion on the Facebook about whether to use campus boarding or limit bouldering. 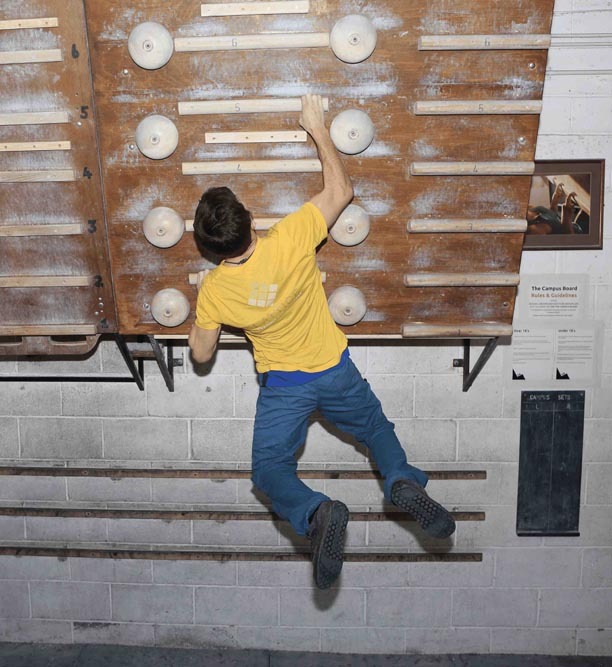 We basically talked about how the campus board may be a good tool but it has drawbacks, and that limit bouldering could be helpful if it’s designed with a system board that emphasizes the specific movement you need to increase contraction speed. That being said, both of these tools have immense injury potential and I don’t recommend either without speaking to a coach you know and trust. Injury research shows that a quick contraction (as what happens when your foot cuts) likely increases the potential for injury. I guess you can see I’m caveating my response. But due to the newness of this research and the fact that it’s not perfect yet, Tom was interested in getting the community’s take on their interest and ideas. The Lattice community can provide insight into how — and whether — we (or Lattice and their community) should approach RFD either from the perspective of measurement or focused training and it can help them whether to devote more resources toward understanding it. Thanks for taking the time to answer Taylor, really appreciate your depth of knowledge on the subject! Your write-up looks great, Tom. And I think that it’s great that you’re exploring this with your community. I’m happy to answer any questions (as I can) if anyone has any.